A statement released yesterday by the World Bank’s office in Freetown, is seriously calling into question – the Koroma government’s capability and capacity to manage the affairs of the country. 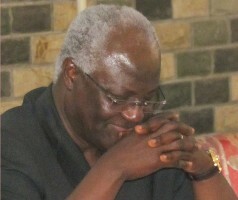 (Photo: Not so energetic and focussed president Koroma). 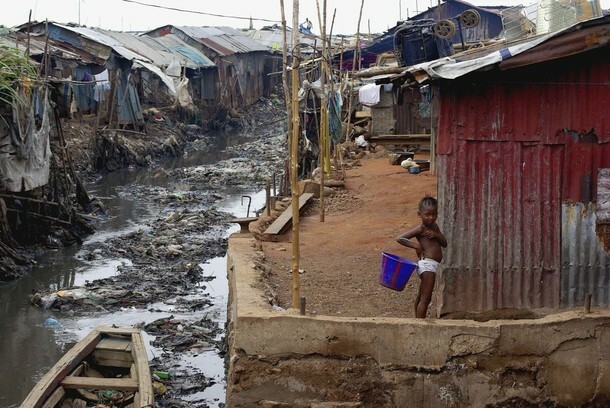 Also in the news, this week’s report by the World Health Organisation (WHO), shows that Sierra Leone is once again slipping to the bottom of the global human development index, with the country accounting for the highest number of children dying at birth in the world. 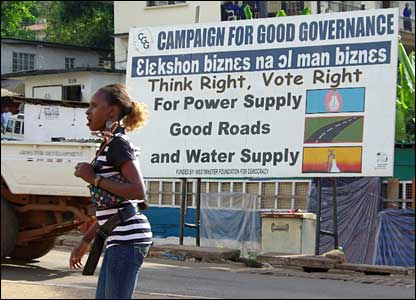 According to the WHO report – Sierra Leone is the worst country in the world for pregnant women, despite the much lauded and heavily funded – free healthcare programme, which was initiated by the British government of Prime Minister Gordon Brown in 2011. Where is all the money meant to save lives going? Persistent electricity blackout across the country, has returned Sierra Leone to earning its previous notoriety, of being one of the darkest nations on earth. 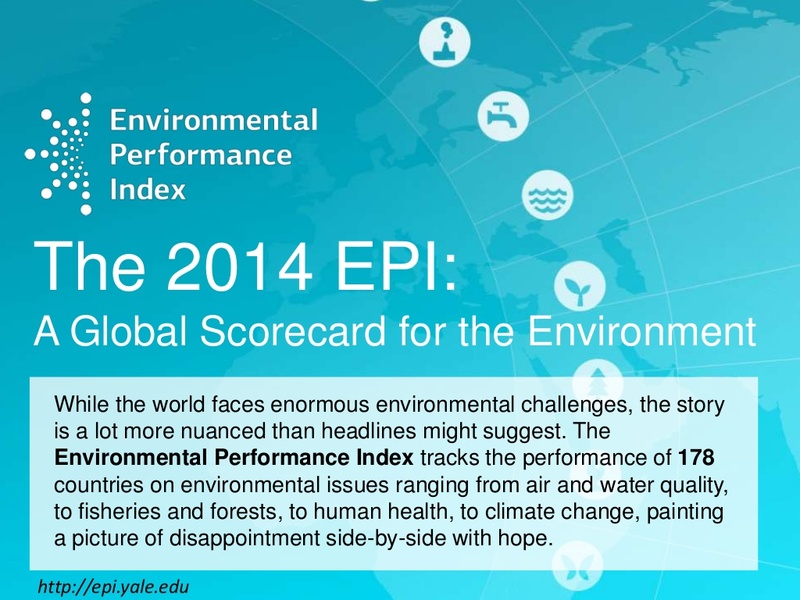 And, a recent report of the Global Environmental Performance Index, ranked Sierra Leone 173 out of a total of 178 nations. Health Impacts -176 out of 178; Child Mortality – 176 out of 178; Household Air Quality – 172 out of 178. These are alarming figures, which the government has been hiding away from its citizens. Energy is one of Sierra Leone’s biggest challenges and the government seems to be trying its hand on everything that could help bolster the generation of sufficient electricity. Currently, since the huge investment in the Bumbuna Hydro project appears to produce less satisfactory result, the government has embarked on several mini hydro projects, as well as the installation of thermal plants across the country. Solar energy and windmill technologies are also being experimented; now bio energy has just been added to the mix. On Thursday, the ADDAX Bioenergy Company announced to its staff that “our Turbine Generator set has been synchronized with the national grid and as of 8th May 2014, we have successfully started the export of 1.5 Megawatts of electricity to the National Power Authority. Our power export will increase as we continue to fine tune our equipment”. 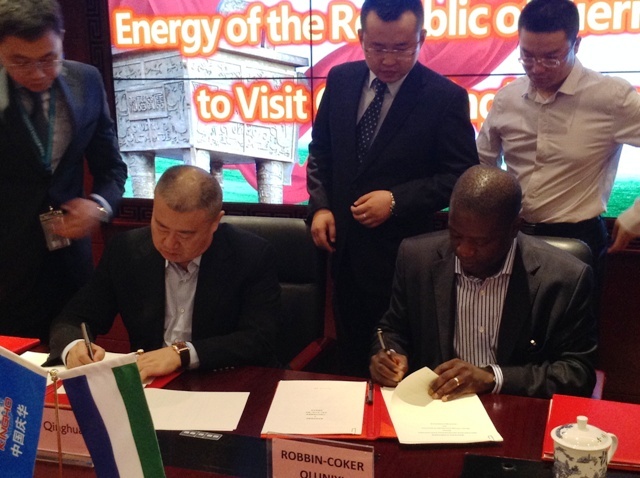 It is expected that ADDAX will produce a total of 16 Megawatts to the national grid. This good news comes at a time when electricity supply in many parts of the city has become lamentable. 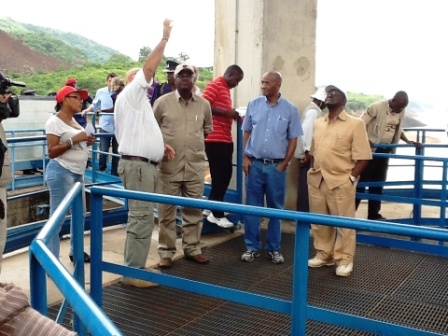 Reports say the overly underperforming Bumbuna Hydro has been producing only 7 instead of 38 Megawatts largely because of low water levels. But critics say the project has been afflicted by a conundrum of technical problems. 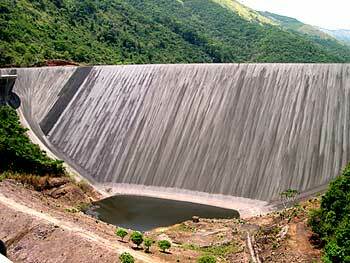 In fact, there are indications that the Bumbuna Hydro will shut down by tomorrow for “routine maintenance”. Generally, the Energy sector in its entirety has been an anathema for both government and the people. President Koroma made energy supply one of his flagships – both in his 1st and 2nd terms, and even though there is “light at the end of the tunnel”, some say the tunnel appears to be very long and the light is rather too dim. The problems are both administrative and technical, and they appear to be persistent. Within seven years, a total of three ministers have come and gone – yet the problem remains. In the latest instance, the ministry was practically decapitated by firing – pending investigation – the substantive and deputy ministers, the Permanent Secretary and the substantive and deputy General Managers. No clear reasons were given, but there are indications of malfeasance, incompetence and lack of diligence – all at the same time. Observers say the real problems are in the centralized structure of the National Power Authority (NPA) and the obsolete nature of the electricity infrastructure. At the moment, the Bumbuna hydro, at its fullest capacity, can generate up to 50 Megawatts but the national grid maximum capacity is only 38 Megawatts. Tariffs in Sierra Leone remain among the highest in Africa – constraining energy consumption; about US28 cents per kWh, twice as much as the continental average. High tariffs are mostly caused by the reliance on expensive thermal generation and high transmission and distribution losses. The tariff is not cost-recovering and the national electricity utility remains strongly dependent on government subsidies. Low connection rates and affordability issues are keeping electricity consumption rates among residents very low. Because of scarce supply and high costs, electricity represents only 7 percent of the total energy consumption. The ramifications on the people and the economy are dire; school children often cannot read after dusk, businesses cannot grow, clinics cannot refrigerate medicine or vaccines, and industries are idle – hampering economic growth, jobs, and livelihoods. The large majority of Sierra Leone’s population is forced to rely on inefficient and polluting traditional fuels to meet their basic needs, such as fuelwood and charcoal for cooking, resulting in adverse impact on personal health and safety as well as on the environment. With request from the government, the World Bank has provided about $53 million to engender reforms in the NPA, and unbundle the network in a public private partnership framework. The reforms will overhaul the utility. The management will be separated from that of the generation, transmission and distribution networks. New transformers will be installed, cables replaced, staff technical and fiduciary capacity enhanced. The capacity of the network to absorb the maximum amount of electricity that will be generated from the different sources will also be improved. The objective is to increase efficiency, address technical loses and then with the installation of prepaid meters, revenue collection would improve. As all this is happening in the energy sector, the country’s health indicators appear to have taken a nose dive. Millennium Development Goal (MDG) 5 – Target 5A calls for the reduction of maternal mortality ratio by three quarters between 1990 and 2015. It has been a challenge to assess the extent of progress due to the lack of reliable and accurate maternal mortality data – particularly in developing-country settings, where maternal mortality is high. As part of ongoing efforts, the WHO, UNICEF, UNFPA, The World Bank and the United Nations Population Division updated estimates of maternal mortality for the years 1990, 1995, 2000, 2005 and 2013. In this latest report, the figures for Sierra Leone are grim. WHO’s latest global figures rank Sierra Leone as the country with the highest maternal death rate in the world. The last report from WHO moved Sierra Leone from list of countries with C (critical) maternal mortality to (B) and this was the 2012 report.